Pradhana is therefore the set of non-differentiated and unmanifested material elements. Something similar to what scientists call “cosmic soup”, even before it is manifested outside. In that stage all the characteristics (the gunas) are perfectly balanced, none exceeds the other. Precisely for this reason the material nature is in the latent state and cannot move or activate the mechanism of creation. So Prakrti is when Pradhana becomes manifested. But the Srimad-Bhagavatam is clear on this point: without the intervention of the Supreme Entity Pradhana could never have developed into Prakrti. 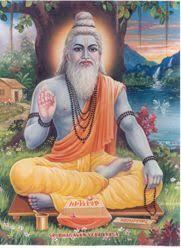 Mahat is therefore the state in which the elements differentiate and become ready for the creation of forms.